It's been quite a few years since I rode past North City Shopping Centre's carpark one Easter, and, having noticed it devoid of cars, wondered how awesome it would be to hold a race there. Well, my dream is about to become a reality. Thanks to the foresight of North City's management, I've managed to secure permission to hold an event there this coming Good Friday, 30 March. The Wellington Masters Cycling Club have kindly endorsed the event, which has helped immensely in gaining permission to race, and others have provided input and assistance, notably WORD's Ashley Peters, and Capital Cycles' Gareth Warnock. 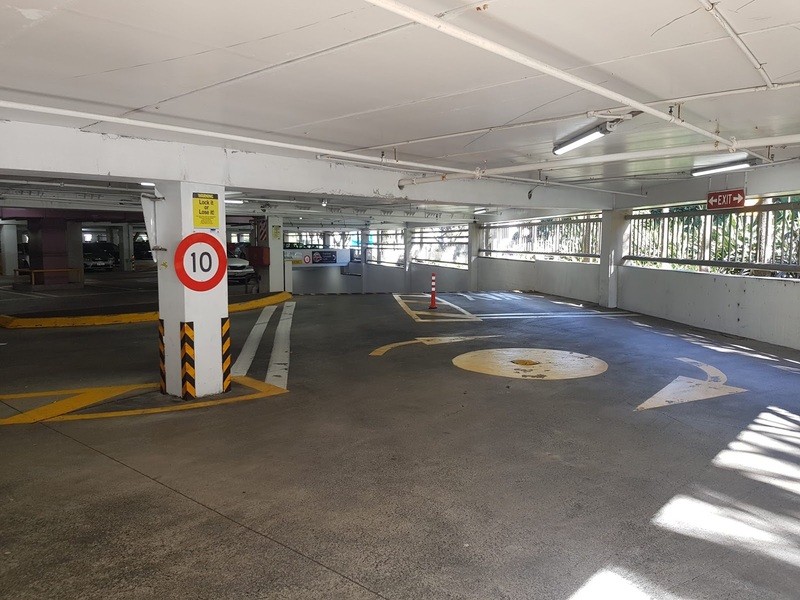 The carpark consists of three levels: two covered, and one uncovered. We'll use the top (outside) deck for parking, and the course will consist of a loop on each of the two covered levels. Each "lap", riders will descend and then climb the vehicle ramp between the two levels. 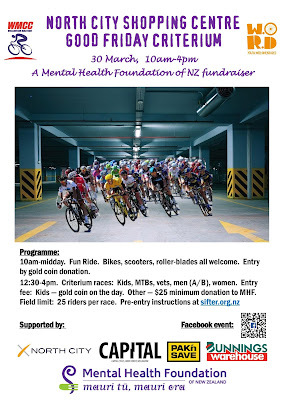 This is a fundraising event, and all money collected will go to the Mental Health Foundation of New Zealand. 12:30pm: Kids race on full course top level of course only. 12:45pm-4pm: Open races using full course. MTBs with fat tyres first, followed by B grade men, Vets, Women, A grade men. The fun ride will be open to bikes, scooters and roller blades, and access will be by gold coin donation. Racers will be welcome to ride the course, but should be mindful of other users, and open the taps only when the course is completely clear. Keep an eye on the day's Facebook event for updates. There is no pre-entry for the Fun ride, nor the kids race after lunch. Turn up on the day with cash for a small donation. A gold coin is fine, but more is welcome at your discretion. If you're racing in the afternoon, you don't need to pay for the Fun ride as well. Entry to an afternoon race is a two-step process. 1. Register using the Wellington Masters Cycling Club online portal. Indicate which grade is your first preference, but be aware that I reserve the right to move folk around to ensure as many people can race as possible (e.g. Vet women from Vets to the Women's race, or B grade male to A grade male). 2. Make a donation directly to the Mental Health Foundation at my fundraising page. The minumum donation to secure your place is $25, but of course, you are welcome to give more. 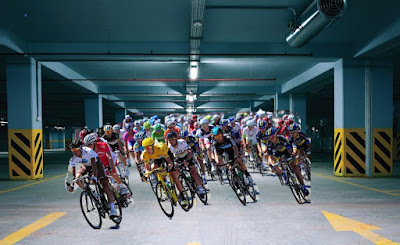 Please mention the North City Criterium in your comment. I have high hopes that many who go for a spin around the course in the morning will hang around to watch the afternoon races, and also that people will come down to cheer even if not interested in riding themselves. Closer to the time, I'll aim to dig out a suitable cyclocross video on youtube to get everyone in the mood. It should be spectacular to watch, and a decent crowd could create a wonderful atmosphere for the racers. I'll also need a team of volunteers to help the event run smoothly. If you're interested in helping, please get in touch via email (siftyjohn@gmail.com) or via comment here, or the facebook event page. This event would not exist without the generosity of North City Shopping Centre. And, its unlikely I'd have had the energy to confront the Traffic Management hurdles to hold an on-road event. So, we all owe the a huge debt of gratitude. They're also covering some security guards for the day, and donating some gift cards for race winners. Similarly, the Wellington Masters Cycling Club are providing invaluable support. It's unlikely I could've done without them either. WORD is helping with the kids event in particular, and with community liaison in general, saving me a huge effort (and probably doing a much better job to boot)! Bunnings Porirua didn't flinch when I asked them to donate course marking tape, and a few other goodies. Nor did Kilbirnie Pak'n Save when asked to donate some food for the BBQ we'll have running during the day. Similarly, Capital Cycles have been super supportive and will sort out some spot prizes. If your business would like to be added to this list, please get in touch by commenting on this blog. Here's the event poster - if you fancy printing it off and displaying it prior to the event, flick me an email for a pdf (and my appreciation). The concrete has a nice bit of grip to it, and we're able to avoid all but a couple of judder-bars. The only tight turns on the course are into and off the uphill ramp. 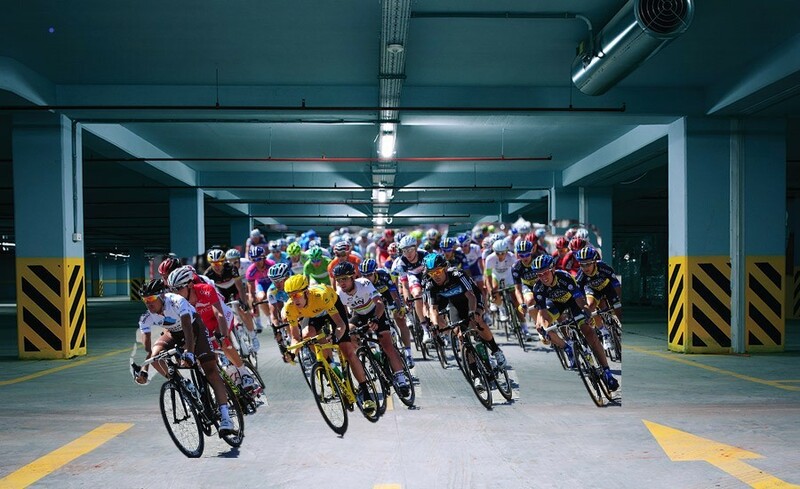 The race course is almost everywhere much wider than a single lane of a standard road. There are no curbs, but there are very unforgiving concrete poles at regular intervals. The course will be designed to give you as much width as possible, gentle turn radii, and run-off if things start going pear-shaped. But, common sense should prevail at all times. This is not the world-champs. The winners will be those that turn up and have a good time, enjoying both the novelty of the event, and knowing that the money raised will go to a good cause. March is going to be a busy month, on all fronts! 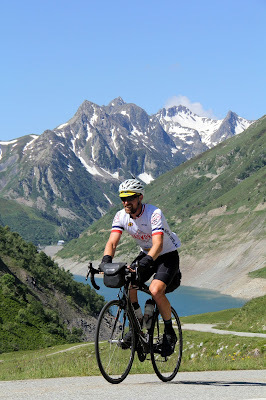 I've had 18 hours on the bike this week, notching up 440km and just shy of 8000m of climbing. The team and I have just finished the first week of our third 4-week block, and the structured efforts Hayden has prescribed will get longer over the next two week before we're treated to a seven day "rest" - last week I only rode 250km! While my legs are feeling pretty good, life's becoming a bit of a blur as I scramble to get everything done. The training, my day job, and engaging with the fundraising side of things all consume a lot of time, but it would be a shame to not do them all justice. I've got a couple of things I'd like to do in April-June, but this month is where I hope to get a lot closer to my revised target of $10,000. The Ultimo kit order is going in on the 12th of March, and it's looking set to generate a few hundred dollars for the Mental Health Foundation. There are two jerseys on offer - one, Victoria University of Wellington branded, and the other, a minor tweak on the Roadworks classic jersey which I commissioned five years ago for Le Cycle-Tour de France. If you're interested in seeing the designs more closely, and/or ordering, you can find all the details here. When dreaming up fundraising ideas, I had some ideas on what to present to the mountainbike community (the hill climb series, and what a great success that was) and to the roadies (the Wainui mini-tour went in the "too hard basket", but a local shopping mall came to the rescue - see below). But, I was at a loss to think of how to engage the university community. A few hours later, Capital Cycles had generously agreed to lend me a Tacx NEO smart trainer for the day, and HR had breathed a collective sigh of relief. 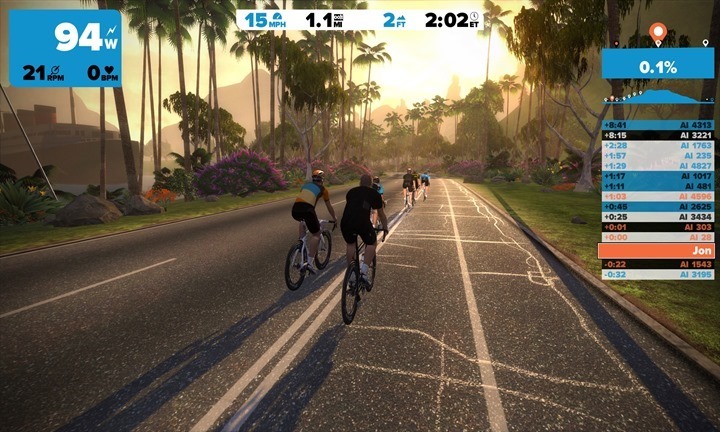 Over the next few weeks, I'll have to learn how to use Zwift, and make sure I'm set up to attempt a vEverest within the rules. According to the Zwift schedule, I'll be riding in London, and hopefully that gives some reasonable climb options - I'd love to hear from any Zwift gurus out there...! The "virtual" aspect means I'll be not only safer, but much less isolated - the Rec Centre are keen to set up some stationary bikes so students and colleagues can get a sense of things, and I hope we'll have a great expo of many of the student services for some of the day. 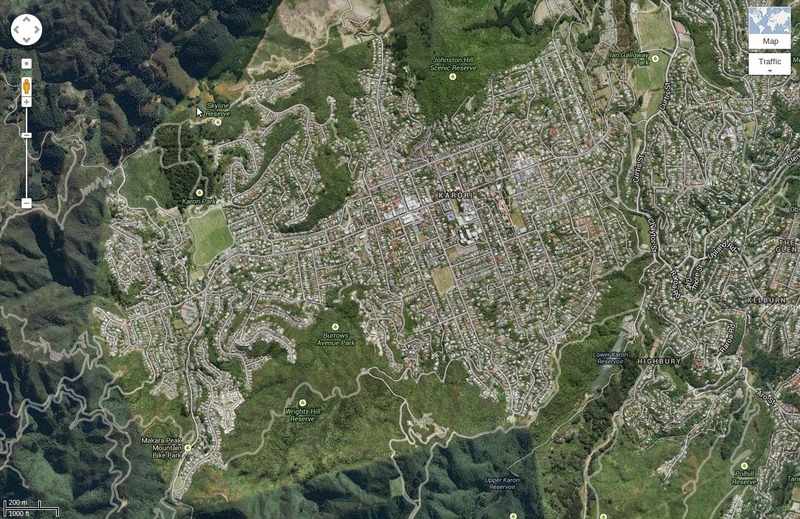 Aside from an assumption that this will be physically much harder, I accept that it's a much better idea than the original plan to ride up and down Kelburn Parade 370 times. Things are slowly coming together for a Good Friday event in North City Shopping Centre's parking garage. I've got access to the three levels of the garage all day long, and plan to use the bottom two for a race track. My tentative plan is to have a "fun-ride" for the morning, probably between 10am and midday. A gold-coin donation will grant anyone (and anything) with wheels access to the course, and hopefully we see plenty of folk out on their bikes, scooters and roller blades having a bit of a hoon around the carpark devoid of cars! Twice a lap through this intersection! In the afternoon, there will be a series of short races. We'll probably kick off with a kids race, and I want a dedicated event for mountain bikes running at least 2" tyres. If time permits, perhaps a novelty event (for fixies, tandems, costumes, or a combination thereof), and then into a series of graded races, culminating in a women's race and open men. The shopping centre have been amazingly supportive despite my unusual request of them, and Bunnings Porirua didn't flinch when I asked them to donate a couple of kilometres of tape! Capital Cycles have generously offered help, as has Ashley Peters and WORD. The Wellington Masters Cycling Club have also been willing for me to run it under their banner, which helps with insurance, and an entry system. Hopefully the insurance won't be necessary, and the online entry system will be up and running this week. I've put out a couple of other requests for donations, so hopefully the sponsor list grows over the next week. Gareth Warnock is peer-reviewing the course for me tomorrow night, and hopefully likes what he sees! Finally, my team-mate Aaron has set the team up with the Entertainment Book, so purchases there will result in a small donation to the Mental Health Foundation. If, like us, you find these vouchers useful (the buy-one get-one-free mains are the bomb!) please buy your 2018/2019 copy here.